It has been a very disappointing start to the season and a series of disappointing results have seen attendances drop alarmingly. After the Woking defeat Martin Foyle and his assistant Andy Porter left the club and Gary Brabin has been appointed as the new manager. Gary is probably best remembered by supporters for his efforts on the field as part of the successful fight to escape relegation from the Conference in season 2005/6. He also managed us for a short time in 2008 before moving on to manage Cambridge United and Luton Town. We hope that Gary can inspire the will to win in the players that he showed as a player to help us in the battle to get away from the relegation places. 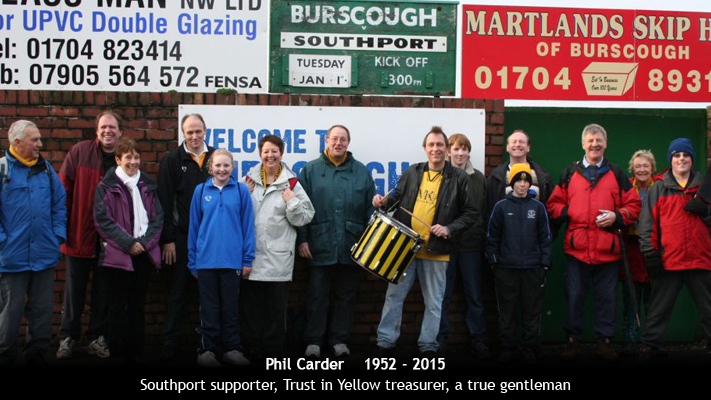 All members of TIY will wish to give Gary and his assistant Paul Carden a warm welcome to Southport and the Trust looks forward to working with them over the coming years. We hope it will be possible for us to organise a Meet the Manager event in future months. We were all very disappointed that things did not work out successfully for Martin Foyle. As a Trust we were grateful for his friendliness and willingness to help with such things as the Meet the Manager evening and our World Cup Sweepstake draw. Results have been disappointing (though those who travelled to Grimsby will remember the long awaited away win!) but we would like to wish Martin and Andy every success in their future football careers. The club urgently needs some stability on the playing side. All members will agree that these are difficult times at the Merseyrail Community Stadium. 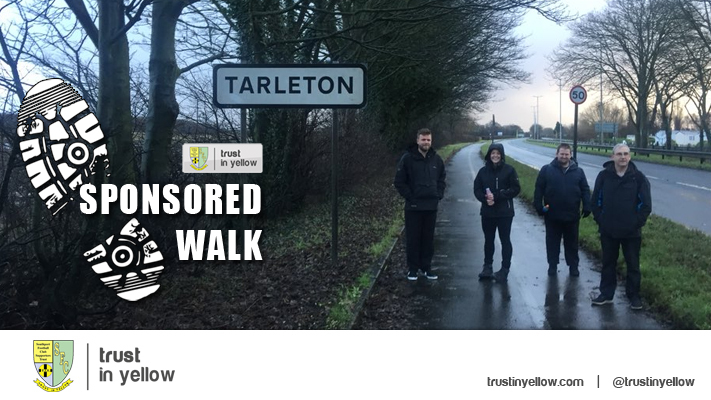 We only hope that Gary and Paul can bring about improved results on the field and that off the field the board improves its communication with the Trust and supporters in general and that promises are kept. The Trust wants to see the present negative atmosphere surrounding our club lifted as soon as possible. 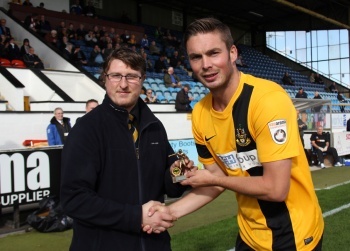 Striker Richard Brodie has been voted the Trust in Yellow fans’ Player of the Month for September. Brodie, who also won the award in August, beat Joe Connor and Luke George to come out on top in the supporters’ poll. The highlight of Brodie’s month was scoring the winning goal in the match at Grimsby Town, a result that brought to an end Southport’s 13-month and 28-match wait for an away win. Brodie was presented with his award ahead of the match against Woking on Saturday by supporter and Trust member John Bennett. 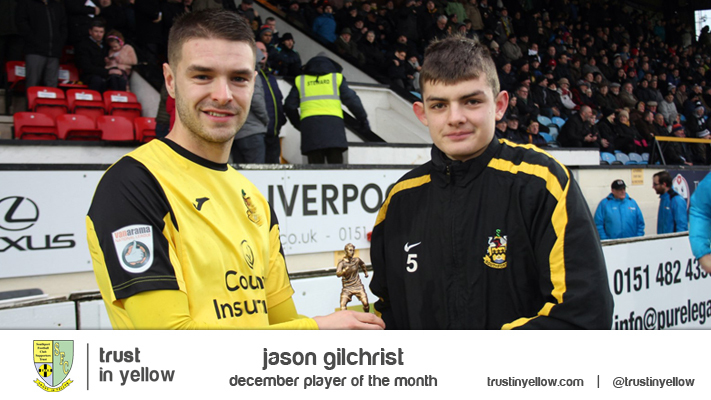 John was chosen to present the award as one of the 15 Southport fans who made the trip to Grimsby and having been to all but two matches during the Sandgrounders’ away drought. Fans will have the chance to vote in October’s award at the end of the month. 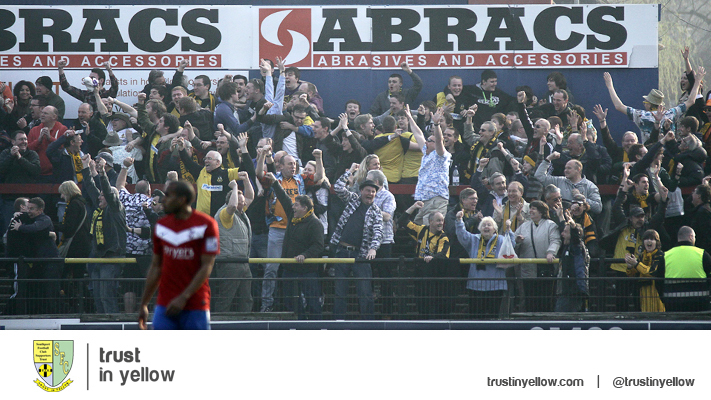 Southport’s only away match in the Vanarama Conference during October is at Braintree Town next Saturday. As usual, 25 bookings are needed for the coach to run so if you want to travel, call into the Trust office on Saturday or phone Alan Scarisbrick on 07980911693. Southport are also due to play a match in the FA Cup fourth round qualifying on 25 October. In the event of an away tie, coach details will be published following the draw on 13 October. Details of the coach to Braintree are below. As usual, under 16s can travel for half of the advertised price if accompanied by an adult. Braintree Town, Saturday 11 October. Departs Merseyrail Community Stadium at 7.30am. Price £43 members, £48 non-members, if paid in advance. Fare reflects the fact that two drivers are needed for this trip. 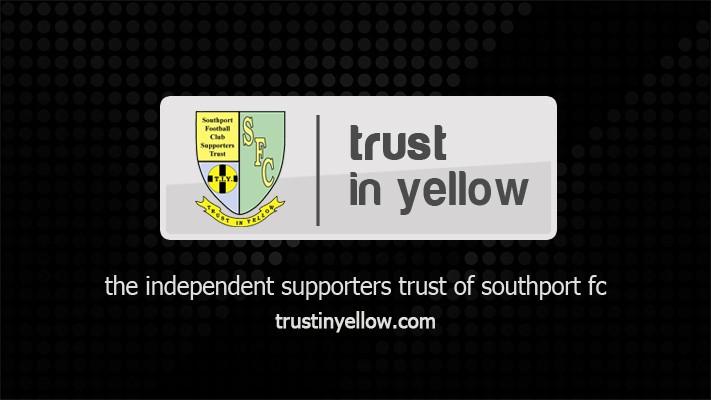 Voting in the September Player of the Month award run by Trust in Yellow has now closed. Thanks to everyone who voted. The winner will be announced ahead of kick-off on Saturday against Woking when the presentation will be made by a supporter. Fans will have the chance to vote in October's award at the end of the month.